Video game marketing, much like any type of marketing, can be fantastic and effective or it can be confusing and unattractive. Most marketing falls somewhere in the middle of those two extremes, but it's always fun to look back at the video game marketing ploys of old. In the last Slogan Showdown I compared the three main versions of the mighty Game Boy. This week I've stepped away from the mobile platform and back into the family room. Before we get started, let me just say that I'm not going to cover EVERY slogan used for each console. Just the top one or two that I feel are the most memorable or hilarious. Slogan(s): " U R Not (Red)E" & "Live in Your World. Play in Ours." Thoughts: If you've ever listend to Fry from Futurama, you are well aware that "Letters like U and R can mean words like You and Are" He has a good point, but that doesn't mean you should use candy heart abbreviations in your advertising campaign. I get that Sony was trying to be hip, what with their red E (GET IT!? ), but the whole shorthand thing just makes them look lazy in my book. The next slogan is mucho better! 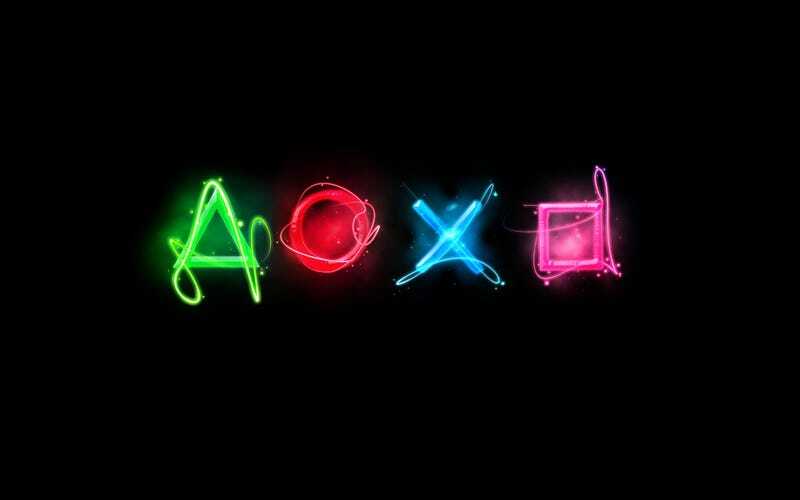 It's a fun concept and it makes the user want to immerse themselves in the world of PlayStation. Slogan(s): "The Beginning" & "Fun, anyone?" Thoughts: WOAH. Did you just see that PlayStation 9 commercial? I still remember seeing that on TV and almost wetting my pants. Fake pitching a product that doesn't exist and won't be out for 78 more years to sell your current product is a blod move, but darn if Sony didn't pull it off. It'll be even more fun to look back on this commercial when the PS9 does come out. The "fun, anyone?" tag line isn't bad, and the commercial of everyone and their brother playing king of the hill is fantastic, but you can't beat PS9. Slogan(s): "Play B3yond" & "It Only Does Everything"
Verdict: Oh, this is toughy. I'm going to have to go with "The Beginning", just because it has stuck with me after all these years. It's one of the only PS commercials I could recall before researching for this write up! Long live PlayStation 9.